• 3 1/2" Cast Iron Pulley. • Heavy-duty zinc plated bracket. • Use with cable up to 1/4". 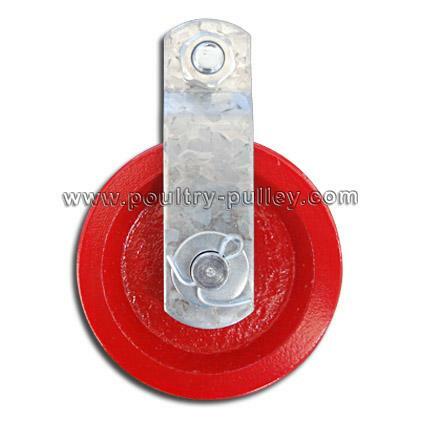 • Use as master pulleys on curtain, feeder and drinker lines.